Being a self-confession Shimano fan, I had mixed feelings when I was given the opportunity to test out the Daiwa Exist spinning reel. But having used this reel on two different fishing trips now, I have to say that I was very pleasantly surprised by the quality and performance of it! 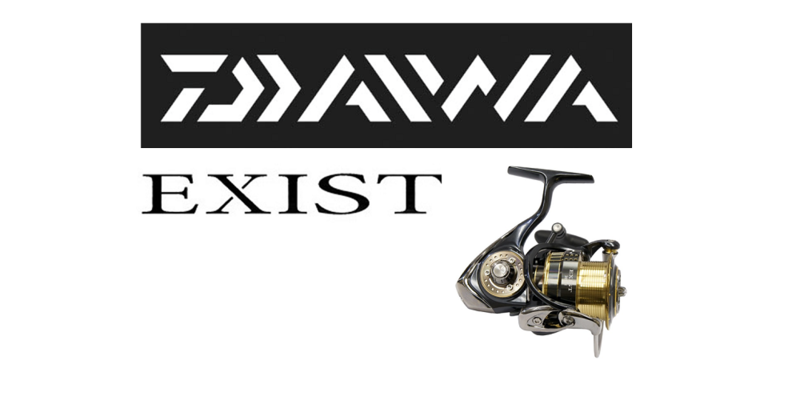 The Daiwa Exist is certainly a long time favourite with Daiwa enthusiasts, and now it is easy to see what all the fuss is about. This reel combines a host of Daiwa’s top technologies, along with an aesthetically pleasing design. So what exactly do you get this this reel? That’s exactly what we are going to dive into in this detailed review of the Daiwa Exist spinning reel. Let’s dive right in the performance of this bad-boy and see whether it deserves to be the flagship of Daiwa’s light spinning reel range! Right out of the box, you can see that the Exist is incredibly well designed. Daiwa has certainly put all of their resources into making this their pride and joy, they want you to see that from the first time you lay eyes on it. It certainly is a slick looking reel. Daiwa has some excellent technology that they use in their spinning reel range, and the Daiwa Exist has been built with all of their top-end features. So as soon as you start to play around with the reel you can feel just how light and smooth it is. When I first used the Daiwa Exist I was really impressed with how the reel felt on the rod. The balance is incredible, and it is also a very light reel, being built using a Zaion body. It just gives you that much more feel and finesse with it when you are fishing with lures. The casting ability of the reel is extremely good, it feels like the line just peels off the spool with no resistance whatsoever. It is the fine details such as the spool design that allow for performance factors like this, so you really start to understand and appreciate the precision engineering that has gone into this reel. Line retrieval is extremely smooth with the Daiwa Exist, even when under high pressure from a hard fighting fish. The gear ratios make retrieval very efficient too, so you are a lot more in control when you hook into the good fish, increasing your chances of winning the battle. Magseal is an ingenious bit of engineering that Daiwa has included in the Exist, and some of their other better spinning reels too. They use magnetic oil, so that the gap between the inner and outer bearings is secured from the elements. This ensures that the reel keeps purring smoothing each time you use it a very long time, so you can get many years of usage from it (and when you are paying this amount for a reel, you want it to last a very long time!). Another feature on the Daiwa Exist that I really love is the ATD drag system. “ATD” is an acronym for Automatic Tournament Drag, which basically means it was designed so that even professional anglers can improve their hook-up rate with this drag system in place. The way ATD works is that the moment you strike into a fish, the drag will initially start off extremely smoothly, before it tightens itself up to provide the real responsive force you need to play the fish efficiently. It is that first strike where so many fish are lost, so this kind of cushioning means that the hook can be set properly instead of being shaken free. A very clever design that will help improve your hook-up rate. There are several different sizes of the Daiwa Exist spinning reel, and some of the specifications will vary through the range. So here is a look at the different specs’ you get with each model of the Exist reel. Let’s not beat around the bush here, the Daiwa Exist spinning reel is not cheap. In fact, it’s pretty darn expensive as far as spinning reels go! But as I mentioned earlier in this article, Daiwa has put a lot of their high-end technology into the Exist reel, and they certainly didn’t want to undermine any part of the reel by putting anything but the best components and technology they have. Magseal is Daiwa’s a magnetic seal that they use to seal internal mechanics within the reel. This seal is also used on the bearings, so you get the optimal performance at all times. Traditional rubber seals will corrode over time after exposure to the elements, but the beauty of this magnetic oil seal is that is cannot corrode. So you will always have the ultimate sealant that will make the reel last for a very long time, while also maintaining its excellent performance ability. The innovation behind Daiwa’s ATD system is very clever. It works by giving you a split second of softer and smoother drag when you initially strike into a fish. Then once the hook is firmly inside the fish’s mouth, the drag tightens up and sets firmly. This should improve your overall hook-up rate. Zaion is a material made of densely packed carbon fibres. Not only does this make the reel incredibly light, but it also makes it supremely strong and rigid. The rigidity of a reel is what can improve the rotary performance, and this is the end goal of using the Zaion material, rather than more traditional aluminium. Daiwa has managed to reduce the weight of the rotor by 15% by using their precision designed Air Rotor. The design of the rotor also improves strength and durability too, so just another really well thought out and designed component to further improve the overall quality and performance. Daiwa revamped their drive system, and this was when Digigear II was born. This drive system is incredibly accurate, and has improved the overall power and efficiency during the retrieve, while maintaining the silky smooth motion that every rotation of the reel has. The Silent Oscillation II has again been improved from previous versions, and this design feature also helps to produce the faultlessly smooth rotation. And yes, it is silent! Is the Daiwa Exist the right spinning reel for you? To help you better answer this question, I will just give you a quick summary and my thoughts on the Daiwa Exist spinning reel. Firstly, this reel was designed with the professional tournament anglers in mind. This is why Daiwa has included all of its top-end technology on it, and also the reason for the hefty price tag. If you are just looking for an upgrade to your old entry-level reel, then the Exist will be overkill for you, and you can get a very good reel for much less cost than this reel. But if you are an experienced angler, and you are looking for improved performance in certain areas of your lure fishing, then the Daiwa Exist will provide this. Yes, it is a significant outlay, but of you think you need improved performance than your previous reel offers, then the Daiwa Exist is hard to beat! The G. Loomis Pro Green is a GREAT rod. From the details you provided, it sounds like you will have a really good setup for the fishing you will be doing, and both the Exist and Stella would complement your intended setup. Hard for me to say which one would be better suited for your needs, as they are both incredibly good reels. If it were me, the Stella would probably edge it, but that is just because I tend to fish Shimano reels more than I do Daiwa. But that’s just my personal preference. Whichever reel you choose, let me know how it goes!